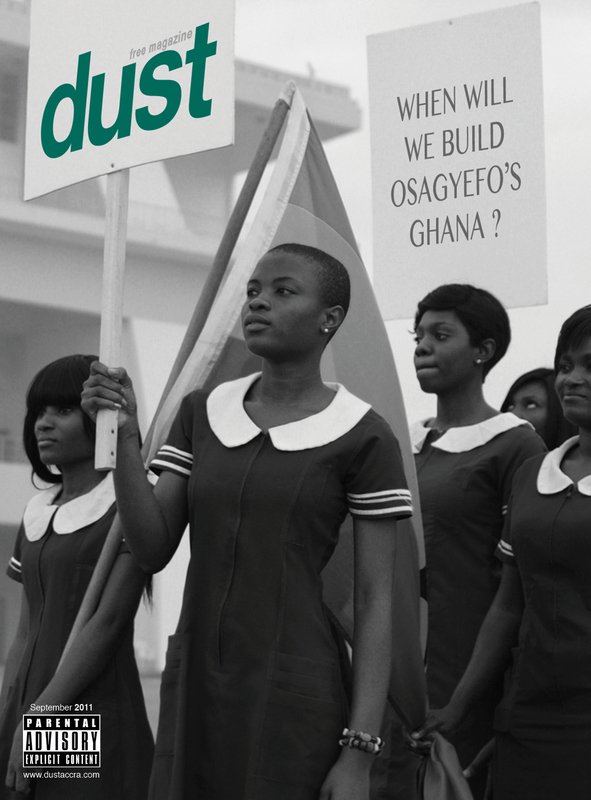 When Will We Build Osagyefo’s Ghana? Once again, it’s Founder’s Day. I’d love to wish Osagyefo a ‘happy’ birthday but I don’t think he’d be amused if he were around today (and I’m not the only one who thinks this). A new issue of DUST is just about to hit the streets. Our theme this time around is ‘people’s politics’. By very kind courtesy of the Mmofra Foundation, we picked a picture by the classic American/Ghanaian photographer, Willis Bell and put a DUSTy spin on it. I’m not the biggest fan of Ghana’s politicians. I’m sure some of them have good intentions. Some may even act on those intentions. I believe they do far less than they could though. To do more would require real courage and sacrifice. Leadership. The people I see leading us don’t seem like revolutionaries. They seem like people who toe the line. A few don’t. Many seem to be there for perks though. Others fell by the wayside or were overwhelmed by the System. They would all rather be a part of the System than fight it. Fighting would be too hard. The worst thing I ever hear is “Oh God no: I don’t do politics.” It’s a truly terrible and tragic thing to say. Politics is a lot more than the circus you see day in and day out in the media. No one would want to be a part of that. Look up its definition and you’ll find that politics actually refers to how we make decisions and solve our problems. So if politicians are not solving your problems, they are not actually doing politics. They are doing something else, and you should not vote for them. I believe in the ‘Can Do‘ attitude that existed in Nkrumah’s time. Fresh from kicking our colonial oppressors out of Ghana, people back then had this spirit of ability. We believed in ourselves. Paa. In our potential and our ability to effect change. We lost that in subsequent years. Now we have a ‘Can’t Do‘ attitude. How many times have you had an idea you believed in shot down by the people around you? Often? That’s that ‘Can’t Do‘ attitude in action, telling you that your idea will not work; that the things you are passionate about are irrelevant; that people will point fingers at you and judge you; that you will fail; that you must toe the line. Screw toeing the line though. The line is what has gotten us to where we are today. I see flashes of that ‘Can Do‘ attitude coming back. I don’t see it in our politicians. I see it in us. In the people that my role as an editor, a lecturer, as an arts activist and as a Ghanaian brings me into contact with. Me? I put the people who inspire me in the magazine I edit and try to amplify their message. I try to challenge received wisdom and force the people around me to think critically. As Ashesi University College’s latest lecturer, I will also be trying to inspire and teach the next wave of Ghanaians to do the same. It’s not a lot, but I’m doing something. You should too. This Founder’s Day, don’t just enjoy the time off. Do something… and don’t listen when they tell you you ‘Can’t Do’ it. 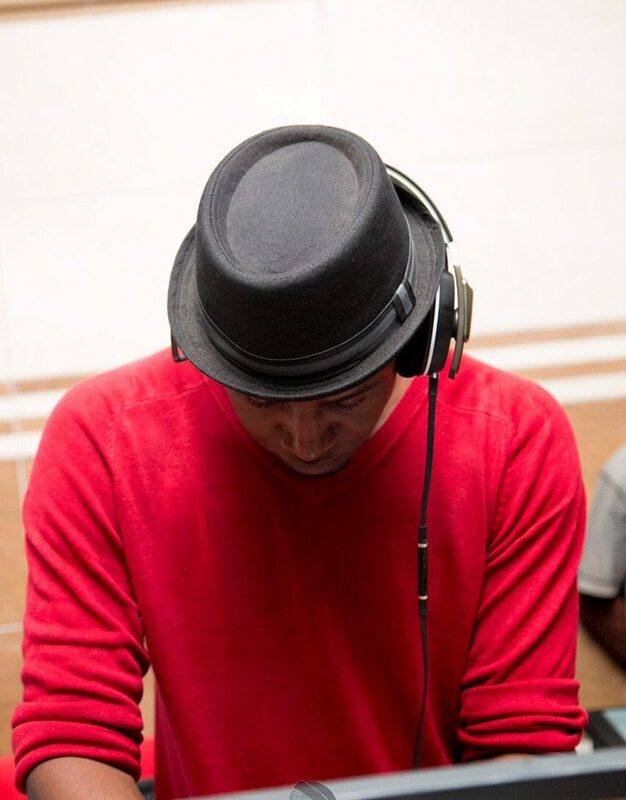 Previous PostMusic: One Video, Too Much Ghanaian Creativity. Next PostLive Music Alert: Blitz & Les Nubians… In Accra. You’ll be teaching at Ashesi! Now that is some really awesome news for today! Excellent post too! 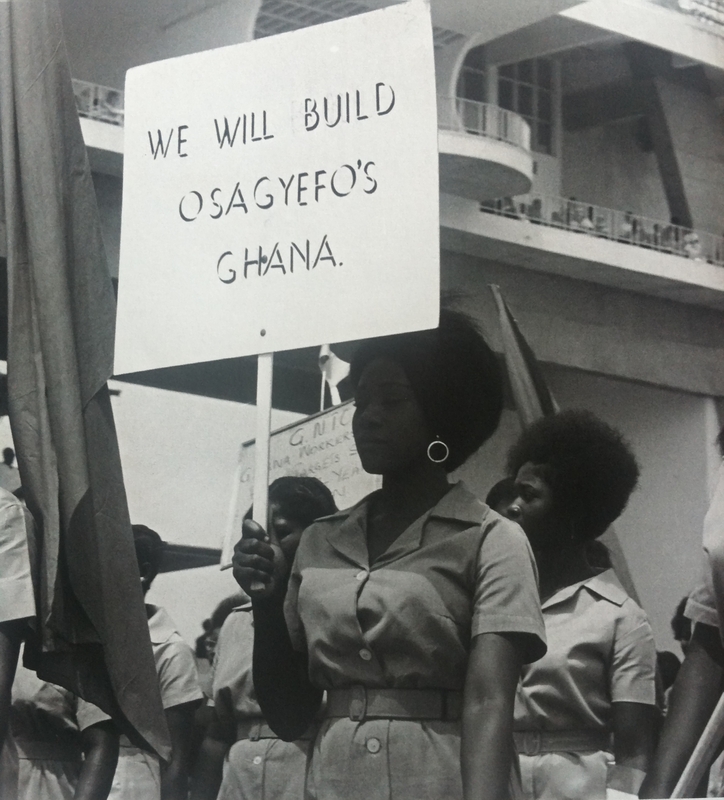 I love the second picture saying “We will build Osagyefo’s Ghana”. More vim! Great post as usual, but you must be tired of me complimenting your writing by now. Re politics: I do think the rest of us – activists, feminists and everyday people who want a socially just world – have a responsibility to enter party politics. We cannot continue to sit on the outside and complain. That will get us no where. Let’s enter the political arena with our values intact, and lets build a support system that will be there for us when the tough political times come – cos the tough times will come. Its how we react to them that will determine whether we make a difference or whether we become part of the ‘system’. say this line very discriminatingly. You have blessings aplenty; use them for us all. That up there, has happened to a friend of mine. Good, trustworthy dude who was utterly disgusted by corrupt politicians when he was in the Police Academy 3 years ago. After just a year working at the Castle, he doesnt see anything wrong with cheating the system and will willingly twist the innocent man’s arm to get what he wants. Had a round of drinks with him last night and I almost felt like reporting him to the police. But he was a ‘police’ himself. Sad! Step by step. Everyone in his small corner should contribute. Let each man bring a brick, let me put one on top of yours. Bring Adwoa’s own too. We shall build Osagyefo’s Ghana. i should have read dis piece early. to me this is one of the best lectures i have received in my entire political science education. You are right on point. I call it youth power. We can surely do it and we will not listen to any pessimistic voice whispering to us not to dare. A point well made. Couldn’t have said it any better! We are getting there and I agree with you. The change is on the street. I would say Nkrumah’s time was full of people who were sick and tired of the status quo. When you reach the very bottom, there are two things involved; you either fight or die. Perhaps this generation hasn’t reached that stage where they either die or push for change. I also think youths are slowly but surely coming into awareness. They are voting more and paying a little more attention, but I agree with you that more certainly needs to be done. I love Ghana, but I’m not Ghanian. I understand the point of the pictures whether or not there is an answer to the following question: who is Osagyefo? Thanks very much sir.you have simply unmasked the attitude of we Ghanaians.let’s all change our attitude 4 a better Ghana.